Our theme for the month of March is “faith.” Reverend Selinde encouraged us early in the month to reflect on where faith sits in our lives. She recounted the story of her son who built a chair when he was very young. He used many nails, not much wood, but a lot of energy. He worked hard for many hours. When he was finally finished he asked his dad to sit on the chair. Discreet glances were exchanged between his parents. What would happen if the chair failed? Injuries? Crushed confidence? Selinde’s husband stood tall and proud and told his son he’d been waiting all day to do just that. He sat down, Selinde stared, and the chair held. “You’ve just got to have faith,” her husband murmured, beaming at his son. The same feeling about faith has risen in me this month. I’ve been watching the momentum of the #MeToo campaign’s steady growth. For women, having faith that their stories of sexual harassment and abuse in the workplace can finally be recognized and validated has been awe inspiring. But it’s what has developed from that moment of recognition to the #TimesUp campaign that has me beaming. Women are now investing their time, energy and resources to advocate for changes in political and legal systems around the world to make sure they never again need to fear harassment. Women are empowering women and changing the rules…for the better. 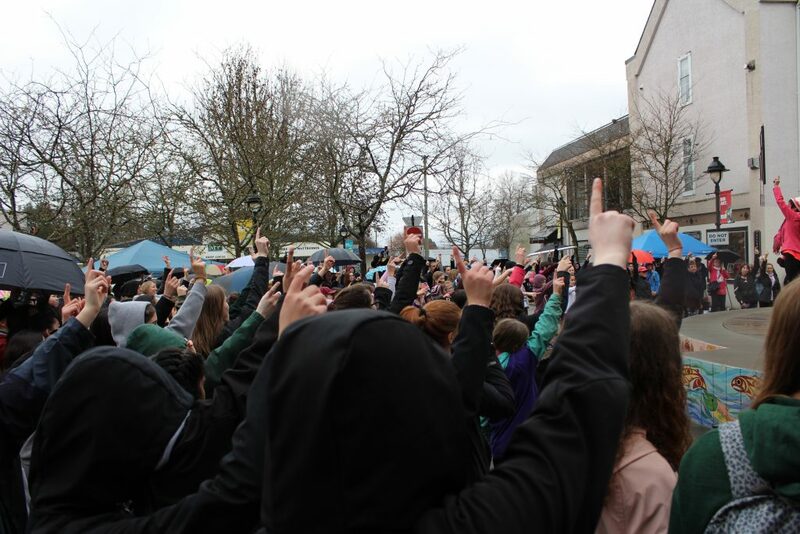 Last week Senior School participated in 1 Billion Rising, a movement of solidarity against the exploitation of women. At this event, four of our students eloquently shared their hopes for the future of women. As they spoke I knew exactly what Reverend Selinde was speaking about. Our students are smart, resourceful and believe in a better future. I have complete faith in their capacity to make that happen.